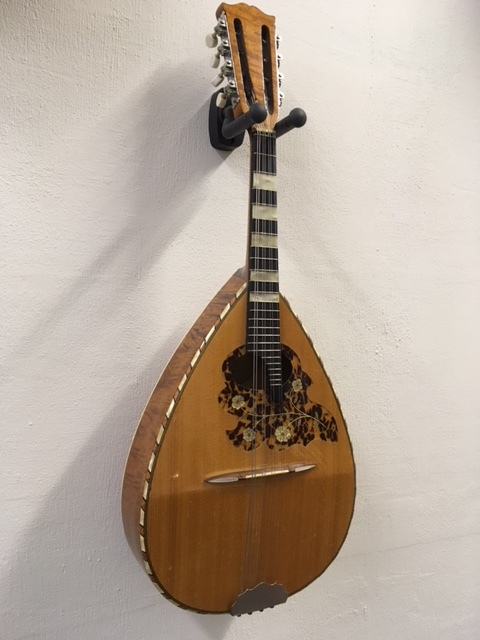 Goblet mandolin LF-28 (Used). Flatback mandolin made in France, app. 40-50 years old, highly decorated design. Spruce top maple back, sides and neck.